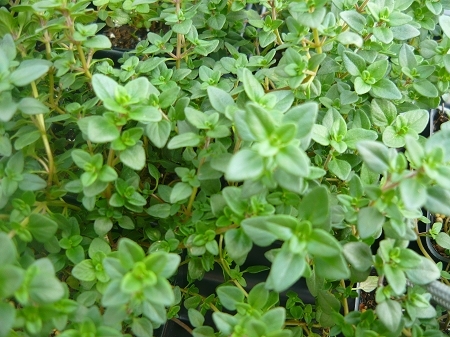 Lemon Thyme - Favorite culinary thyme with a pleasant lemon scent and flavor. Excellent addition to chicken, fish, pork and other meat dishes. Dark green leaves and compact upright bushy habit makes a beautiful container plant. Perennial zones 4-9. Live starter plant in 3 inch container.